But the best thing about the Sony VAIO Y Series is undoubtedly the cost. If the laptop itself is one step up from the world of netbooks, so too is the price of only £429 inc VAT, and that makes it a hugely appealing purchase. It’s almost as light as a netbook, will run more demanding applications, and has the battery life to last a long flight, all of which make it an intriguing budget alternative for the more discerning traveller. The one thing we don't like about the Sony VAIO YB Series laptop is its touchpad, which was sometimes unresponsive when we dragged our finger across its bottom half. Apart from that and the slow hard drive, we have few complaints. The screen's colour and clarity is among the best (if not the best) we've seen in a sub-$1000 laptop, the HDMI port allows you to plug in to a big-screen TV with ease, and the laptop's base barely gets warm even after prolonged periods of use. 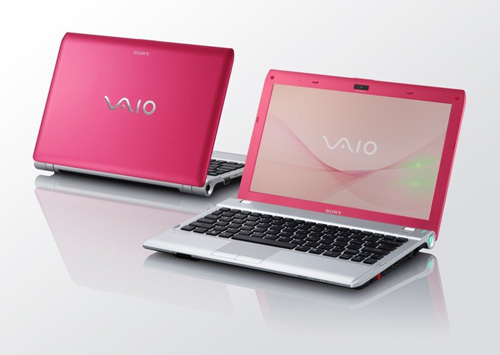 The Sony VAIO YB has plenty going for it, from its gorgeous design to its top-notch media player software. However, lower-priced competitors such as the HP Pavilion dm1z and the Lenovo ThinkPad X120e offer longer battery life, better keyboards, and superior sound. Nevertheless, the VAIO YB is the sexiest 11-incher under $600 on the market today. 77.67%: This rating is not convincing. The laptop is evaluated below average, this is not really a recommendation for purchase.